Yesterday was the birthday of celebrated virtuoso violinist and all time best selling classical musician Nigel Kennedy, affectionately known in the UK as ‘Our Nige’. Taken into the hearts of the British public, and many other countries too, for his ‘distinctive’ dress, uncompromising ways, non-conformist attitudes, common speak, straight talking and general ability to communicate as just well one of us. He broke down the barriers of elitist traditions in classical music and made it accessible to a wide audience. Best known obviously for his groundbreaking recording of Vivaldi’s Four Seasons suite of violin concertos, but he is of course much more than just the man of the Four Seasons, having a deep love for jazz music which he has widely played and recorded, as well as some of the most ‘classic’ rock music ever made; and add to that all the great violin works giving him a very substantial recording catalogue. A protégé of one of the few classical violinists of his day to have become a household name in the UK, Yehudi Menhuin, who had actually warned him against playing jazz music as it would ruin him as a classical musician, Kennedy may just have been the right man in the right place at the right time recording the right music to capture the ears of the wider public – but could that not be said of anyone breaking new territory in any field of endeavour – and that might be simply the reason why the Four Seasons was such a phenomenal success; right music, right person, right place, right time. Then, of course, he didn’t really do anything new, he didn’t actually bring classical music to the wider public, after all it was originally the music of the people, the masses, he only brought it back to them…or should I more correctly say, he brought the people back to the music. In doing so he has made it possible for anyone to turn up at a classical concert, without feeling out of place, he paved the way for the phenomena that is Andre Rieu and the launch in the UK of a commercial classical music station (ClassicFM) that is hugely popular and successful, and is listened to by people from all backgrounds and of all ages. Yes, they have their critics. 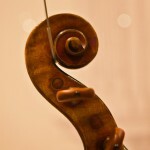 The purists love to decry the likes of Kennedy, Rieu, Ludovico Einaudi, ClassicFM and others who have dared to cross over the bridges into widespread public appeal at the expense of their sense of elitism and being special, which is usually defended with claims of ‘not proper classical music!’ or the likes. Vivaldi’s the Four Seasons was itself one of (I should correctly say ‘four of’) over 200 concertos that he wrote for violin, making him one of the most prolific composers of music for the instrument. In total he wrote over 500 concertos, around 90 sonatas and 46 operas in his lifetime. This seems a huge achievement but pales in significance when compared to the most prolific composer of all time in the field of classical music. Georg Philipp Telemann, a German composer and multi-instrumentalist who was almost entirely self taught in music having started at the behest of his parents on the career path of a lawyer. Like Kennedy he was fortunately a non-conformist and rebelled against the wishes of his parents to become a composer. In his 86 year lifespan, beginning in 1681, he composed an incomparable list of over 3000 pieces of music. How many can you name? Like this and want to receive more. Scroll down and sign up for our newsletter to never miss a post.